Although most spiders inject venom into their prey, few are harmful to humans. Ontario is home to the very poisonous black widow spider. 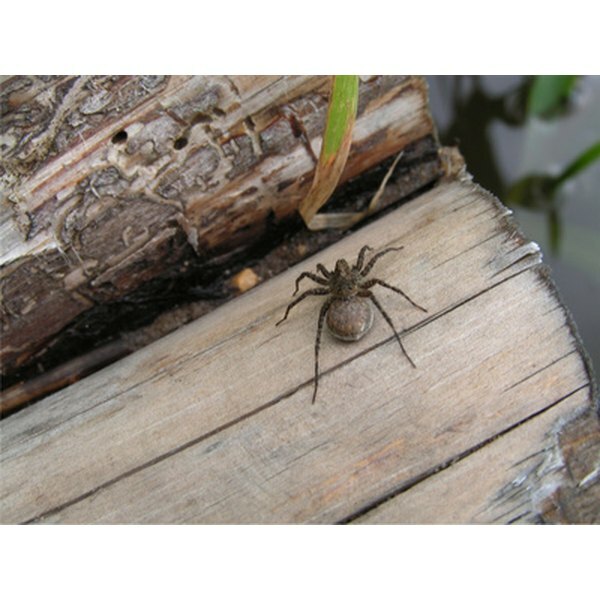 The more commonly seen yellow sac spider is far less venomous, and brown recluse spiders, not indigenous to Ontario, may only be spotted on extremely rare occasions. The female black widow is poisonous and the spider is noted for a red hourglass marking on the underside of its shiny black abdomen. Five different species of black widow inhabit North America, including Ontario. Black widows live under fallen trees or under rocks. They also like to inhabit secluded areas like sheds, garages, basements and crawl spaces. Firewood piles are a common home and people who are bitten by black widows often report they were moving firewood when the bite occurred. An Oakville woman was hospitalized by a black widow bite in 2009. She had been bitten while gardening and almost immediately suffered blurred vision, numbness and profuse sweating. Black widows inject a neurotoxin which affects the nervous system. Other symptoms may include fever, elevated blood pressure and dizziness. Less than one percent of black widow bites are fatal. The spider is rarely seen in Ontario, and only two other reported sightings occurred in 2009, one in Mississauga and one in Bolton. Even over the past several decades, reports of the spider were rare and occurred in London, Barrie, Bruce Peninsula and in the Georgian Bay Islands. The yellow sac spider's habitat is mainly the northeastern United States, but it has also been reported in Toronto and the southern part of Ontario. It is a pale straw color with darker fangs. Inside the home, it often nests and resides in cocoon-like webs, hunting for insects at night. Outside, it is found near decks and porches. This spider has a one-year lifespan in Ontario, wintering inside homes. The yellow sac's bite is sometimes confused with that of the brown recluse, but there is rarely any necrosis, and the symptoms are not as severe. The brown recluse has a violin-shaped marking on its thorax, which gives rise to this spider's nickname, fiddleback. This spider is not accustomed to Ontario's climate and may only be found after inadvertently traveling on goods shipped in from the mid-western and southern United States. In 2007, a man from Caesarea reported a spider bite with accompanying fever, extreme swelling and a lesion that are consistent with the symptoms of a brown recluse bite, but the spider was not positively identified. He was bitten after handling fruit. Necrosis from the spider's flesh-destroying venom is a common reaction to a brown recluse bite. Typically, a stinging is followed by intense pain and a blister that widens to the size of a silver dollar. An ulcerated sore is left behind that could take six to eight weeks to heal. Are Velvet Ants Dangerous to Humans? Why Does the Sting From a Yellow Jacket Itch?